They are going to try and bring the nightlife crowd from 27th St to Union Square for steak. Andrew Silverman has been scrambling all over town to get this deal done since he lost a ton of money from Cafe Society and the new Steak Frites. Both huge failures, cost him millions. 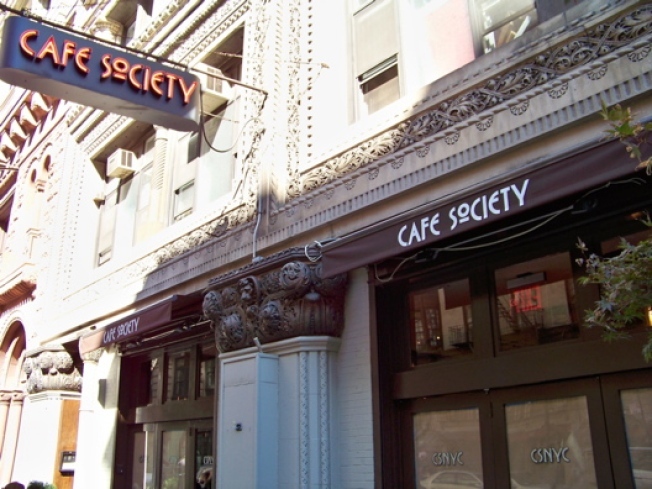 Sure the community board will be excited for a nightclub right next to Union Square Cafe. Let's reprint that quote one more time for the folks in the back: "They are going to try and bring the nightlife crowd from 27th St to Union Square for steak." Best of luck to Mssrs Silverman and B on the plan—and that little matter of a liquor license transfer. · Renovation Report: 7 Months In, Cafe Society Doneski [~E~]For more stories from Eater, go to eater.com.